ESL Monster Grammar and Vocabulary Games: Present Simple, Correct Verb Forms, Possessive Pronouns, Adjectives, Questions Words, Tag Questions, Prefixes, Suffixes, Root Words, Word Formation, Synonyms, IELTS & TOEFL Vocabulary Games. 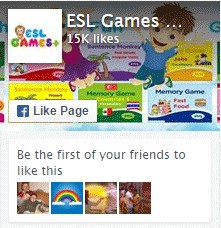 Game to practice Physical World, Geography, Landforms Vocabulary with this game. 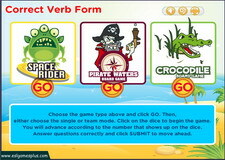 Game to practice Prefixes Word Formation Game with this game. Game to practice Root Words Game for Word Building with this game. Game to practice Suffixes Word Formation Game with this game.